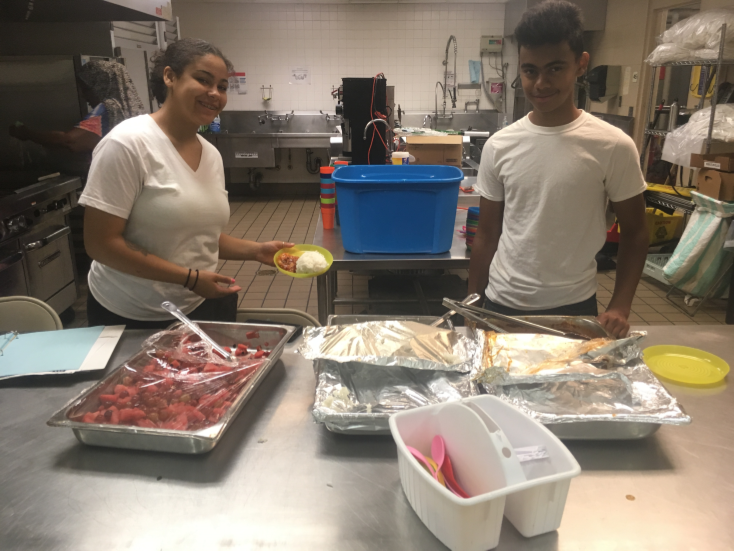 Campus Kitchen hosted two high school interns through the Minneapolis Step-Up program again this summer. 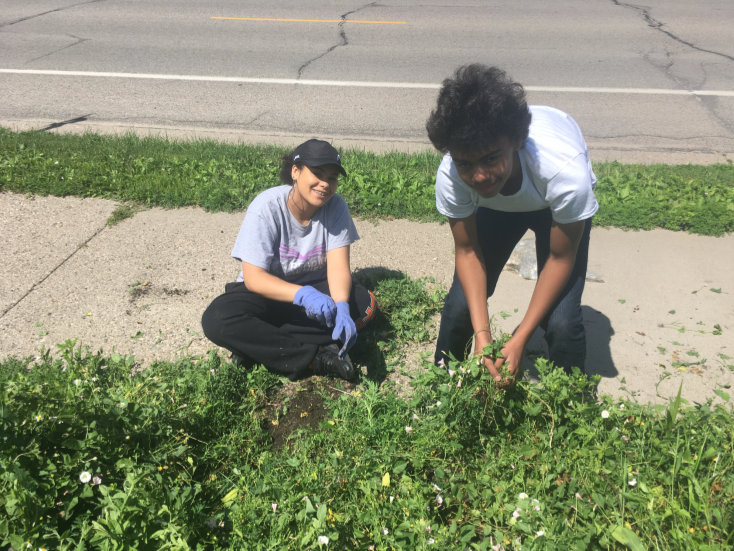 Davonte returned for a second year, bringing confidence to share his previous knowledge and to ask brave questions in staff meetings, and Rahma for the first year, bringing lots of Cedar-Riverside neighborhood knowledge and incredible baking skills. This summer I’ve had the pleasure to work with Campus Kitchen. Over the summer I participated in meetings where complex ideas were discussed and I had the liberty to share my own thoughts and ideas within an inter-generational group which was a knowledgeable experience for me. I had the privilege to learn about vegetables that were unfamiliar to me at first and then figure out how to use these vegetables to make healthy and creative foods such as zucchini chocolate chip muffins, zucchini chocolate chip cookies, and cucumber brownies. My cooking skills grew very much this summer as I had lots of opportunities to practice thanks to Campus Kitchen. I’m also much more comfortable in a garden setting now. I got to work in the campus community garden a lot which strengthened my agricultural skills and knowledge. Throughout the summer I participated in many garden activities such as watering, trellis building, plant identification, harvesting, checking the soil and some landscaping. 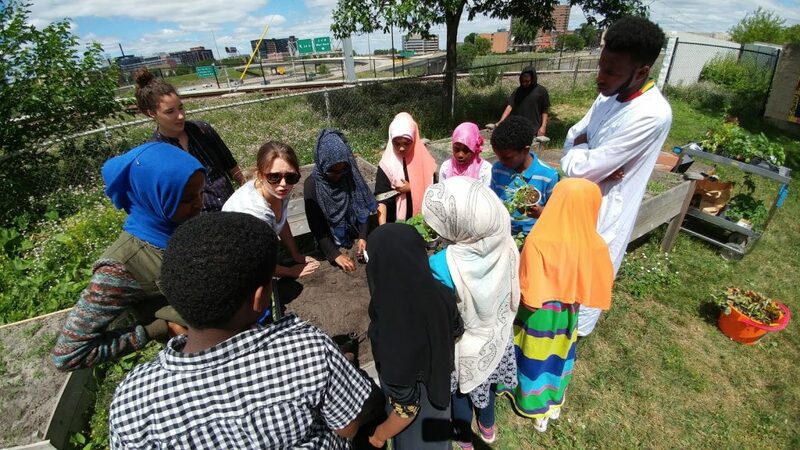 On Saturdays, I participated in the weekly gleaning where we received donations of produce from farmers at the Mill City Farmers Market who were willing to give. After this we sorted through and bagged the produce to give to The Cedars, which are low income apartments for the elderly in Cedar-Riverside. There we would have to communicate with the elderly whom often didn’t speak english. Usually we’d have leftover produce from the Saturday gleaning which we used to make a delicious and healthy lunch every Tuesday in the aforementioned garden. On Thursdays we prepared meals for about 50-60 elderly people who live in the Ebenezer Tower and Seward Towers East/West. 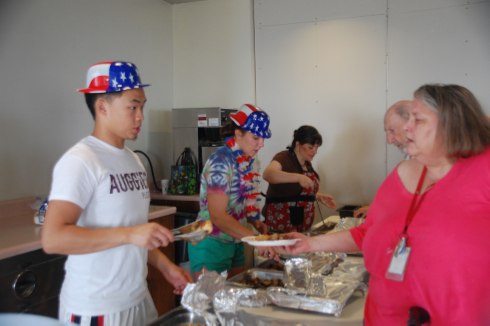 Some Fridays we’d prepare and serve dinner for some of the residents at the Ebenezer Tower. Campus Kitchen allowed me to grow my knowledge of food desserts, positive/negative food environments, food oasis, ugly vegetables, school lunches, food rights in our community, fast food, food insecurities, the food process (where food comes from/how it gets to us), and composting. We did many projects and research to further our knowledge on these subjects such as making a food glossary, conducting a market basket survey, a research project on food desserts, and a presentation about school lunches. 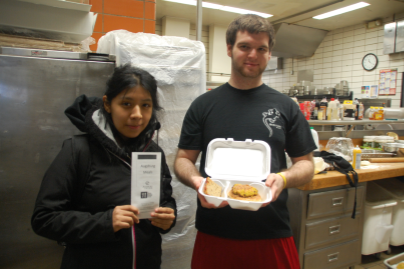 I’m now much more aware and conscious of food waste thanks to Campus Kitchen. I thoroughly enjoyed my second summer of working with Campus Kitchen and I’m thankful for the experience. 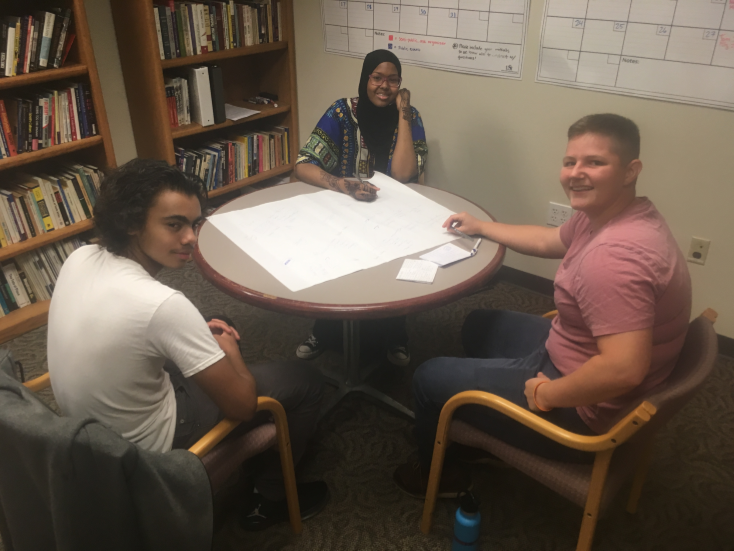 Hey, My name is Rahma Farah and this summer I worked in for the Campus Kitchen as an intern.The Campus Kitchen at Augsburg is an on-campus student program that is a member of a national nonprofit organization. 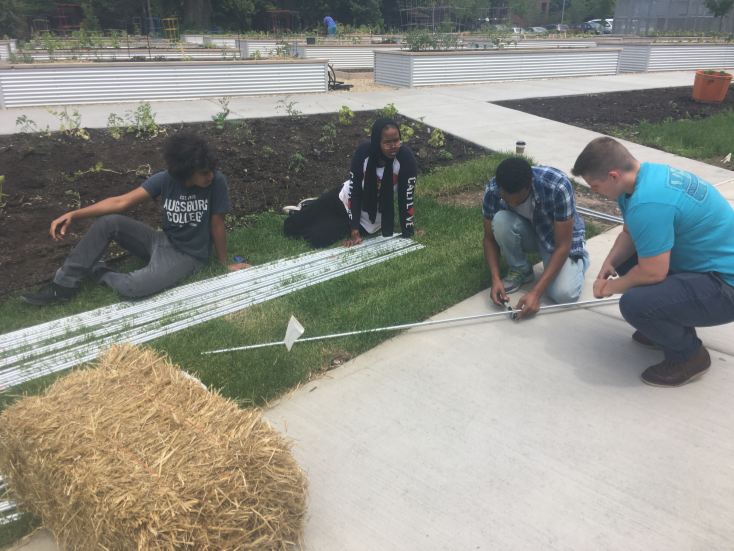 We did all sorts of different things such as work in the community garden to help the gardeners’ plants grow and build many trellis so that their tomatoes could grow on them. 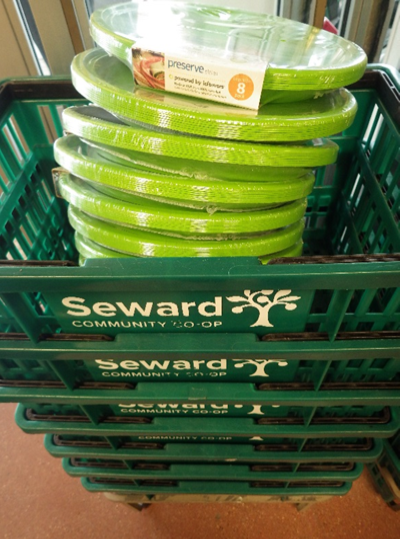 We also got a lot of donated fresh produce from the Mill City Farmers Market that we give out to The Cedars, which are a low income apartments for the elderly in Cedar-Riverside, and the Campus Cupboard, which is a food shelf for Augsburg students. Every Tuesday we’d use some of that produce to make a garden lunch where anyone could come grab a bite to eat. On every Thursday we go to Ebenezer Tower, Seward Tower East and West and prepared about 60 meals in total. And every other Friday we go back to Ebenezer Tower and serve and eat dinner with them. Throughout this experience I gained many skills. By going to the Friday dinners, it boosted up my communication skills because I would talk to a different person every time we went. By working out at the garden, I gained knowledge about plants such as how to identify them and take care of them. I also learned how to manage my time, since some days we were given a list of tasks that had to be done and we’d get it done with time to spare. We did all sorts of different projects like learning about food deserts in our neighborhoods and food securities in the elderly community. We did a market basket survey about the grocery stores in the area and their prices for certain items. I also became more aware about food waste and compostable items. This summer has been full of great experiences and I want to thank the Campus Kitchen team for an amazing first job experience. The first photo is us learning how to build a trellis. The second photo is of us brainstorming a food system. Sophomore Rhys Dilenschneider and freshman Xochil Martinez delivered a special brochure with nutritional information as part of our initiative to expand outreach to seniors this year. Every Thursday, Augsburg Campus Kitchen students package and deliver balanced meals to 50 seniors in our community. Thanks to a partnership between The Campus Kitchens Project and the AARP Foundation, we are excited to expand these meal deliveries and offer new programming, including nutrition education and themed community meals, to further combat food insecurity and anti-isolation. This semester, sophomore Rhys Dilenschneider is leading these Thursday delivery shifts and working on nutrition education opportunities. For our first foray into nutrition education, Rhys created a handout explaining the nutritional components of a pumpkin/yam/chickpea patty that sophomore Hannah Thiry and cooking shift volunteers whipped up especially for seniors. 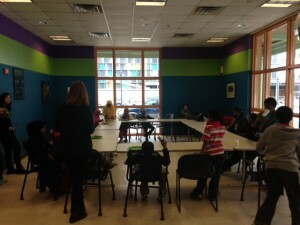 Next on the horizon is a collaborative workshop, where Campus Kitchen leaders and seniors at Ebenezer Tower Apartments can share tips and techniques while learning to cook an easy meal together. 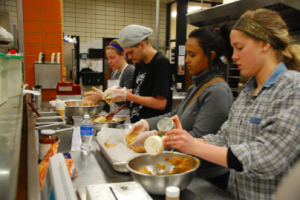 Sophomore Hannah Thiry and the cooking shift crew prepared vitamin and protein packed pumpkin/yam/chickpea patties especially for our seniors. 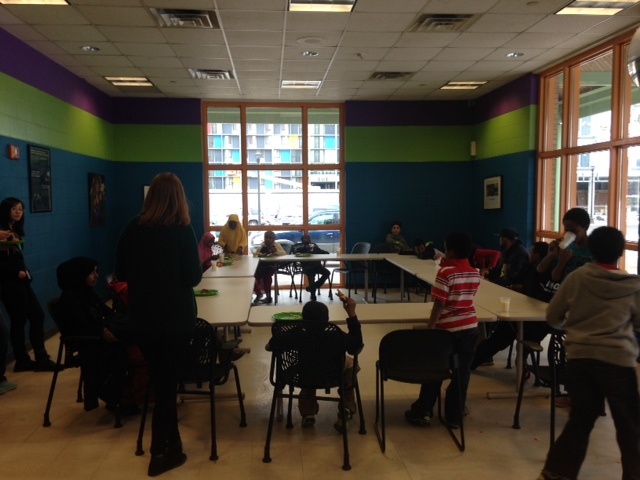 One of our newer community partners, Common Bond Communities Seward Tower West, is eager to bring more of their residents into this program. Already, they have 14 residents on a waiting list to receive meals. Because Rhys and the other Campus Kitchen student leaders are on a tight schedule doing deliveries between classes, we are looking for a few more volunteers before we can start serving our neighbors Seward Tower West. 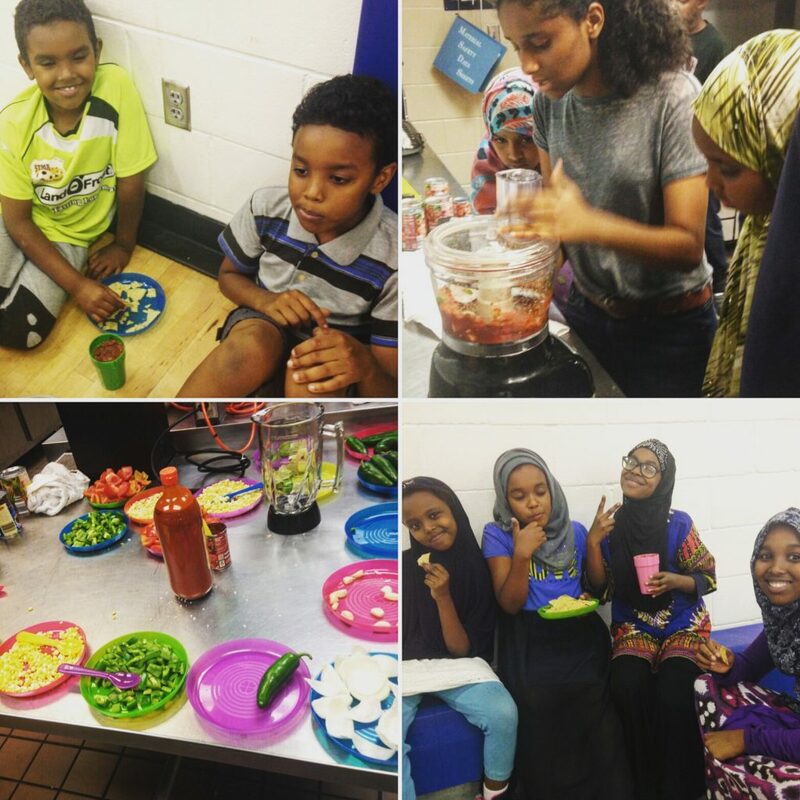 If you’re interested in helping us expand our outreach by volunteering or assisting with nutrition education, contact Allyson at campuskitchen@augsburg.edu. And stay tuned to our facebook page or Twitter for more news from our work with seniors and other neighbors!